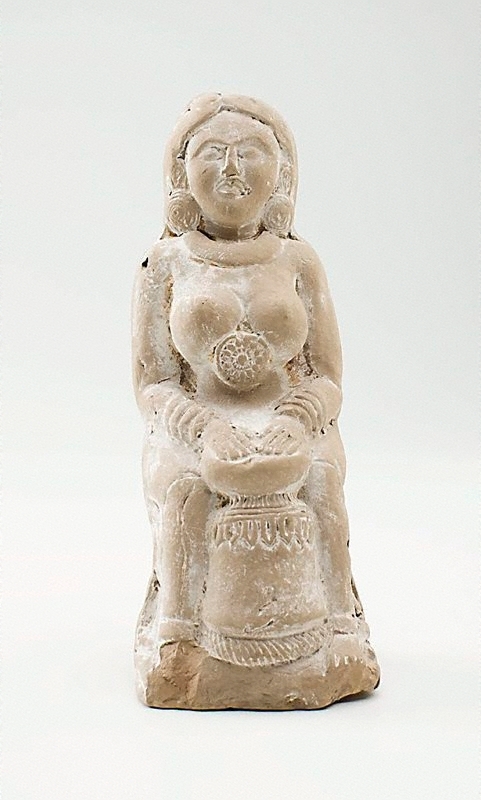 This figure is from the rich archaeological site of Chandraketugarh in West Bengal where many terracottas have been excavated. 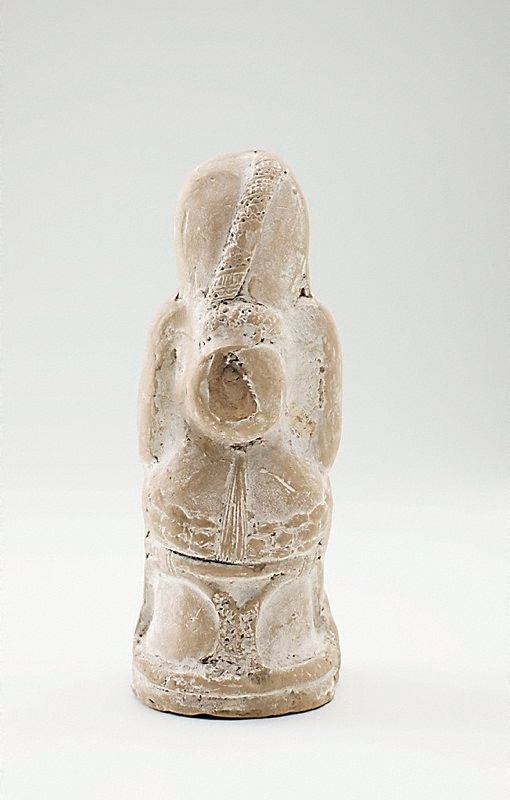 A female holding a hide-covered drum resting on a cloth-draped stand is hollow with a plain back and a base. Like several other pieces from this site, it seems to have been designed as a rattle because the hollow body deliberately contains what sounds like clay pellets. Jackie Menzies, 'Dancing to the flute - Music and dance in Indian art', AGNSW, 1997. pg. 202. Dancing to the flute: music and dance in Indian art , Sydney, 1997, 202 (colour illus), 204. cat.no. 122b See 'Further Information' for text.